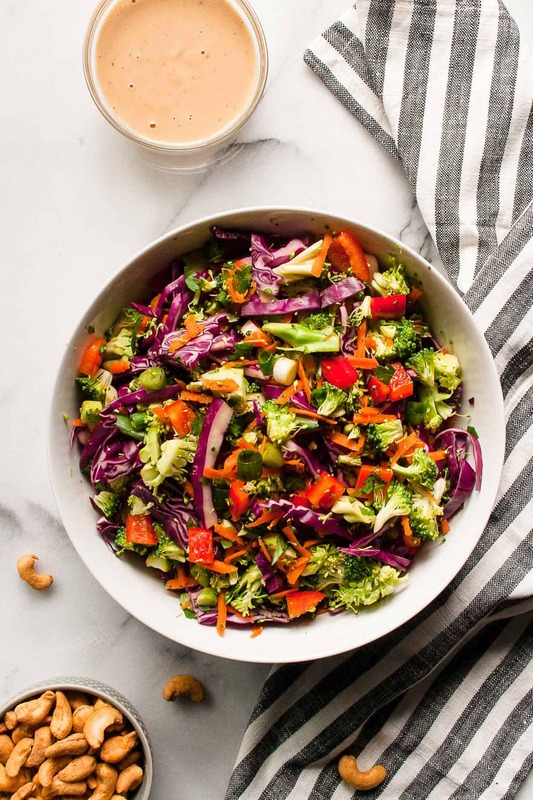 This chopped thai broccoli salad is loaded with a rainbow of veggies and tossed in a creamy cashew dressing! 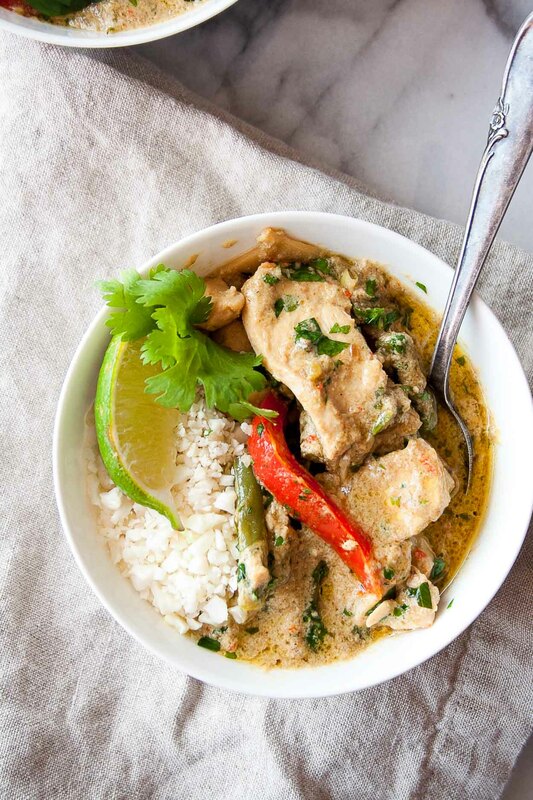 It’s the perfect compliment to any meal and it’s Whole30 approved too! You know when you eat something that is so dang good, you never want it to end? Of course you do. We all have that food. For me, it’s usually potatoes. But lately, cashews have been calling my name in every way. I’ve been making my own cashew milk for my morning coffee. Cashews were the star of the show for my birthday dessert. And you can probably guess that they are featured today in this salad… both in the dressing and on top! But before we get to the cashews, can we talk about these colors?! I’m not sure who first said this, but most health advocates use the phrase “eat the rainbow”. Often times, I get stuck in a rut of eating the same vegetables over and over. And while it’s good that I’m filling my plate with veggies, it is important to eat a variety of vegetables in every color. Adding in a variety of vegetables means that I am fueling my body with an array of vitamins, minerals, and antioxidants – which is incredibly beneficial to my health! But eating the recommended 9 (!!) servings of fruit and veggies a day is daunting, even for someone who is pretty good about it. But I’ve got the solution. 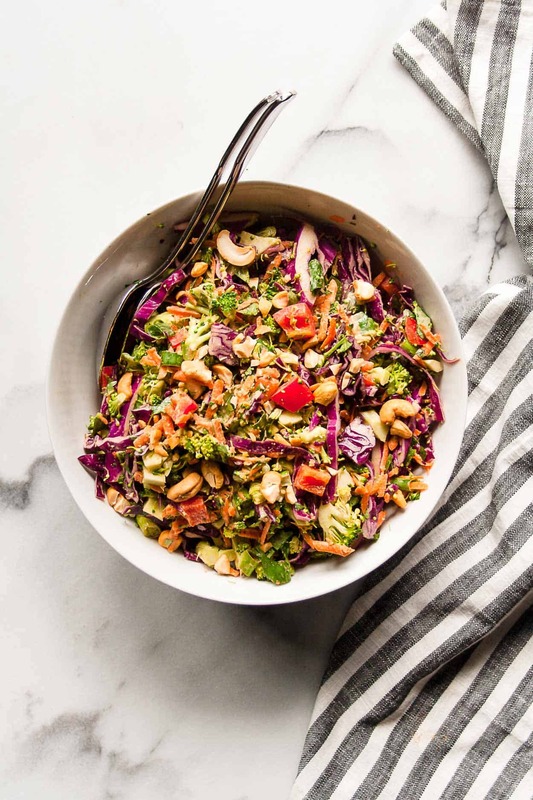 Enter: the Chopped Thai Broccoli Salad. HELLO vegetables. I’m into it. 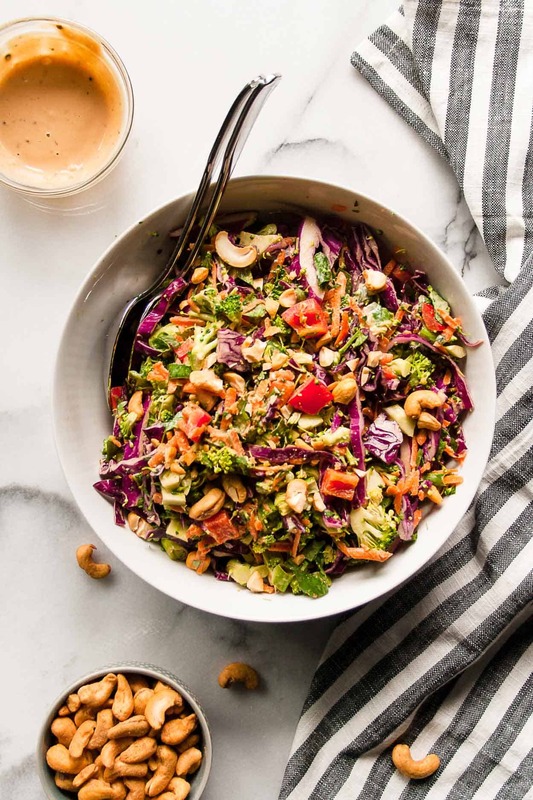 But if I’m being honest, it’s the creamy cashew dressing that really makes this salad! And being someone who is always craving Asian-inspired flavors, I knew I had to dress it up in a similar way. The creamy dressing is a mix of cashew butter, ginger, garlic, s&p, rice wine vinegar and a little water. It’s the perfect compliment to the bright, crisp veggies! 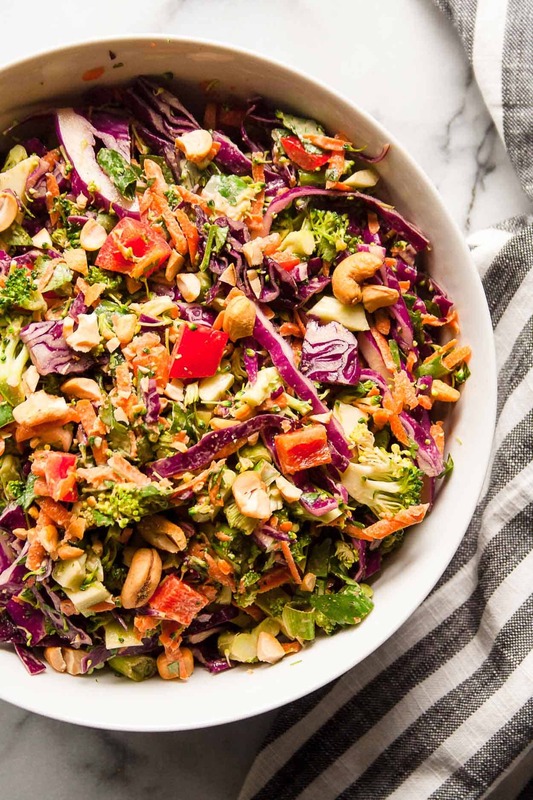 Make this Chopped Thai Broccoli Salad and post a picture on social media and use the hashtag #imhungrybynature for a chance to be featured! 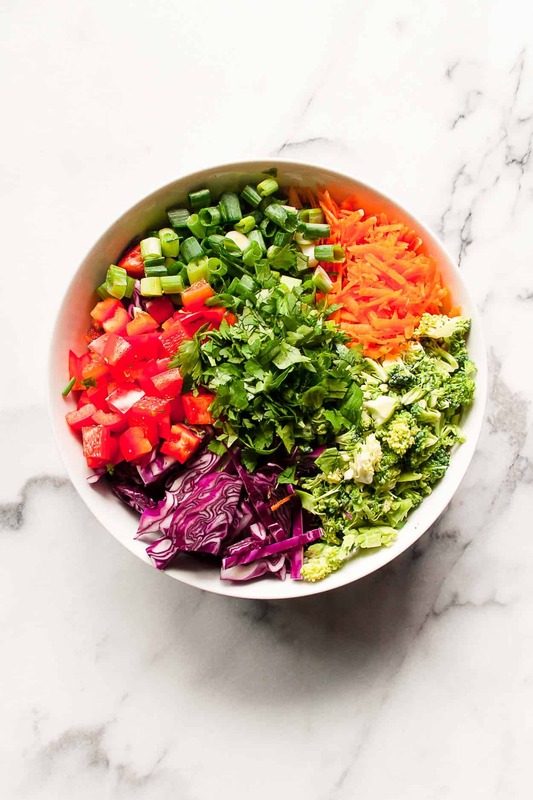 Combine all salad ingredients in a large bowl and toss together. In a small bowl, add all dressing ingredients except water. Whisk to combine. Add 2 Tablespoons water to thin dressing, and add the third if you would like yours thinner (I did!). Add the dressing to the salad and mix to combine. 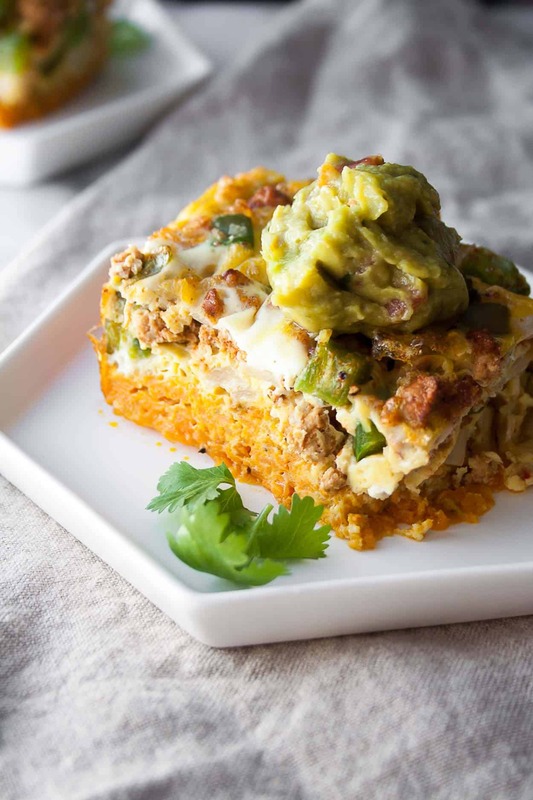 Looking for more Whole30 approved recipes? These are two of my favorites!